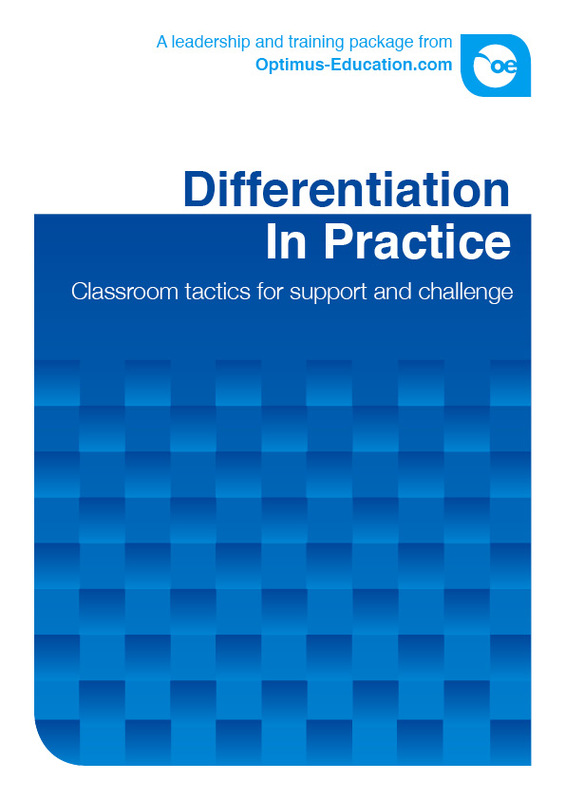 Differentiation in Practice: Classroom tactics for support and challenge is a ready-made training resource designed to show busy teachers how to personalise and differentiate learning effectively, in ways that raise standards and close the achievement gap without placing unrealistic demands on your planning time. The package contains diagnosis and audit tools to help you plan the training, followed by three sessions tailored to the training needs of whole-staff, novice teachers and middle leaders. Julie McGrane is Director of Leading Learning (Education) Ltd, a development and research consultancy committed to helping individuals and organisations develop and innovate by making learning their core business. She is the co-author of the popular Optimus Education title, Developing Outstanding Teaching and Learning and has developed her own Challenge and Differentiation Toolkit. Professor Charles Desforges BSc Lond PhD Lanc (contributor) is an emeritus professor at the University of Exeter. He served on the National Education Research Forum (NERF), which worked to shape national strategy for educational research, and he chaired the NERF research priorities group. He is also a research adviser to various government bodies in the UK and overseas.